Huntsville, AL – GeoCue Group, in partnership with the United States Geological Survey and with support from the Texas Natural Resources Information System (TNRIS) is providing free access to pre-event LIDAR and imagery data in the areas impacted by hurricanes Harvey and Irma. The data are provisioned on GeoCue Group’s Earth Sensor Platform (ESP), hosted in Amazon Web Services, and are available at GetLidar.com. ESP is a joint project developed by GeoCue Group and Teledyne Technologies, originally in support of Teledyne’s Multi-User System for Earth Sensing (MUSES), a remote sensing host platform located on the International Space Station. A series of webinars will be conducted to provide users with a jump start on using ESP to access these data. The first session will be conducted on September 21 at 10:00 AM CDT. Users can register at www.GeoCue.com/ESPWebinar. Additional sessions will be scheduled. The schedule can be accessed at www.GeoCue.com/Events. 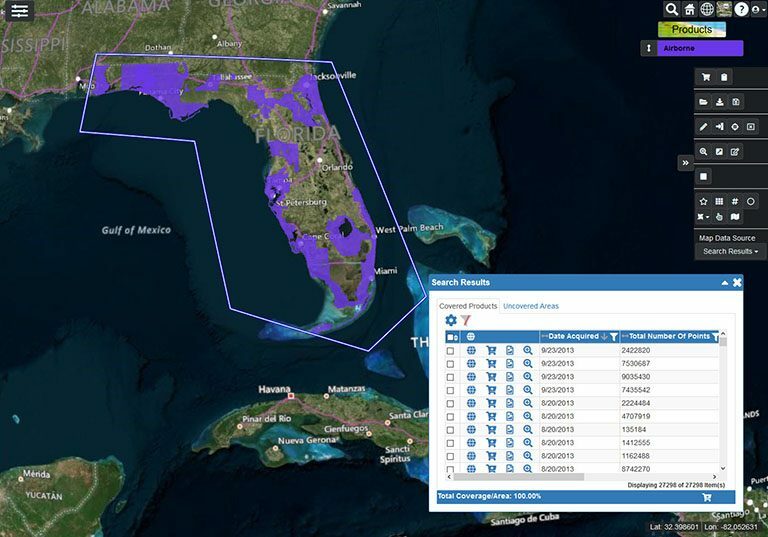 We are honored to work with the USGS to make this vital geospatial data available at no cost to the myriad of companies and individuals who will be involved in the recovery work. My team has put in some long hours to get our nascent ESP system loaded with data and ready to scale out to meet an anticipated high user demand. I want to thank the USGS National Geospatial Technical Operations Center and TNRIS for all of the assistance they have provided in getting these data ready for delivery.